Mt. 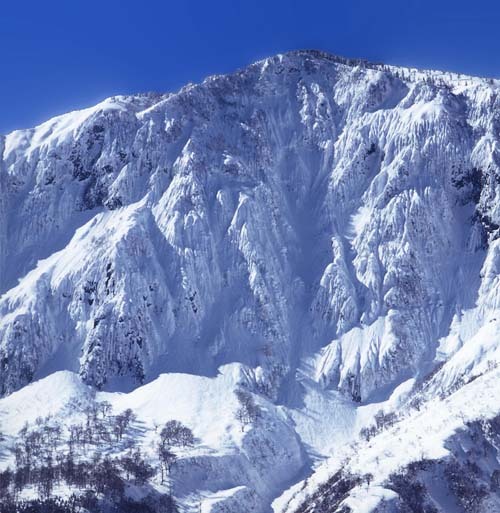 Torikabuto (2037m) is one of Japan's top 200 mountains. Known as the second Mt. Tanigawa, rock cliffs are steep and severe. Overflowing with a sense of solemness that keeps people away. From the vicinity of the peak you can see Mt. Naebasan, Mt. Saburuyama and the back side of the beautiful Shiga mountain range. How to get to the Mt. Torikabuto Trailhead Get on buses from Yuzawa Station(YS02) for 44 minutes and get off at Tsunan Town Hall(YS28). Change buses from Tsunan Town Hall (NA09) for 60 minutes and get off at Yashiki (NA37). 40 minutes walk from there to the Mt. 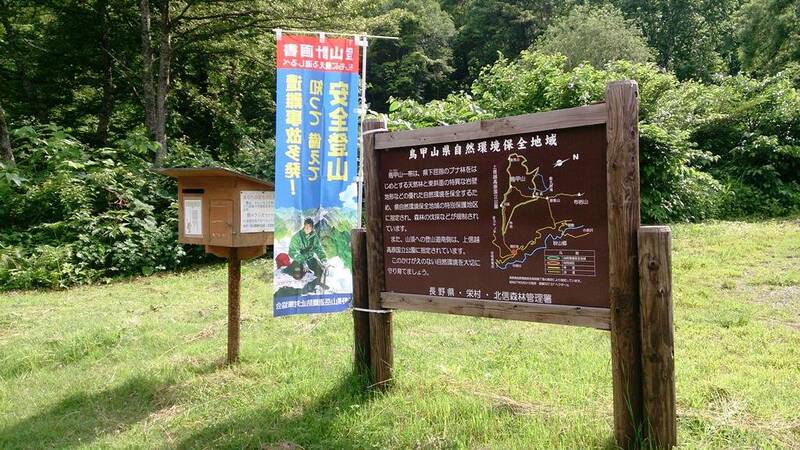 Torikabuto Trailhead. From Tokyo Take route 353→ 117→405 after exiting the Shiozawa/Ishiuhci IC and it takes 110 minutes to the start of the trail. From Niigata Take route 117→405 after exiting Echigo-Kawaguchi IC and it takes 125 minutes to the start of the trail.